I was confident like yeah I’m young but you can play tht in a positive way. I was like, yeah I’m young, I’m gonna hustle, I’m ambitious. You know I really need this so I’m going to work for you. And, it’s kind of how I played it and people respect that. You know I got a lot of “I what to help a young guy make it.” You know I think people root for that to, the bug. It’s bad in one sense but you can use it to your advantage. Tim Oppelt, from Opp Real Estate, has endured a lot. He’s worked one of the “worst” jobs possible, been laid off, and made some investing errors. But, he’s a big believer in trying to do what you love and creating a new path for other people. With that… He’s beginning to crush it! Listen to this episode and start creating a path to scale up your real estate investing business. 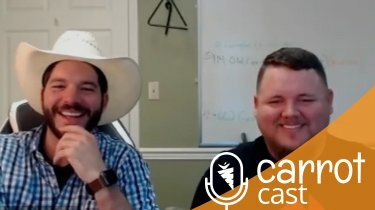 1:45 – Why Tim is on the CarrotCast. Also who he is and what his business looks like right now. 3:55 – What drives Tim. What his main passions are right now. 6:00 – His path to real estate investing after being laid off from a previous job. 8:15 – What was the first touch point in real estate and breaking down his direct mail strategy. 10:50 – Saying “just do it” and leaving the perfection vs. progress attitude for a bit. 12:40 – Having a feeling that prospects are looking at you different than others. How Tim got around the “your too young” mentality. 15:15 – At what point did he move to more of a web-based marketing strategy. And, what percent of leads and deals are coming in via the web vs. direct mail right now. 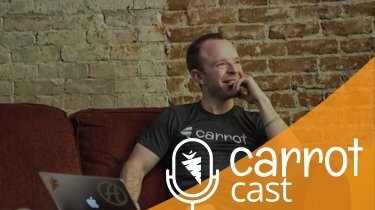 18:40 – Why Tim joined Carrot. I saw real estate investor and website and thought I’m an investor and need a website it made sense. 20:40 – What was wrong with his first AdWords campaign structure and how he fixed it. 22:40 – There is more strategy than “implementing the thing”. How Tim’s marketing knowledge has upgraded his business and where he’s focusing most right now. 25:50 – Where and how to scale up your real estate investing business. 26:55 – What Tim’s AdWords spending looks like and how many deals he’s been pulling out. 29:05 – What his online deal mix looks like. 30:15 – Hiring his first assistant. Where he was in his business when he decided this would be the right move. 32:40 – Testing phone calls: live answer vs. voicemail. 36:15 – Hiring assistant number 2. Why he made this move and what tasks they are assigned. 37:50 – What are Tim’s dreams, how much he’s working right now and how much does he want to be involved in the future. 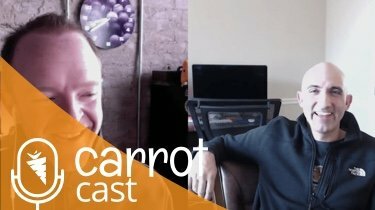 40:30 – The biggest things he’s been able to pull from Carrot and implement into his business. 43:20 – The pivotal point after being laid off where he took the plunge into real estate investing. 44:25 – What book is he reading right now. 45:30 – Tim’s advice for someone with or looking for an investor website. Would he recommend Carrot?